Girish Maliye industrialist and resident of Chidmabar nagar succumbed to his injuries and died in hospital after he was hit by a tipper early on Thursday near Argan Talav. An cycle enthusiast, Girish as per his regular routine went cycling and a tipper hit him near Argan Talav. He was 47 and is survived by his wife, son and daughter. Tarun Bharat in a report mentions that Girish died due to lack of timely medical treatment given by the hospital. He was taken to a hospital where he was asked to pay and do registration where he said first give treatment and then formalities would be done. But the hospital did not accept and this and he was shifted to another hospital and inbetween due to loss of blood he died. The Skandan committee in its report to the supreme Court says that any doctor refusing to treat road accident victims should face disciplinary action as per the norms laid down under the Medical Council of India (MCI) guidelines. The MCI and the Ministry of Health will issue norms to hospitals on admitting accident victims, specifying that those accompanying them should not be detained or asked to pay fees. Hospitals, which don’t comply, could have their licenses revoked. The Supreme court has also issued orders in this regards. So will any action be taken on the private hospitals which refused treatment? Next articleHospital formalities claims life of accident patient- When will this stop? The response from Hospital was expected. They have found a scape goat by putting blame on 108 Ambulance drivers, Who helped and brought Girish N Maliye to the KLE Hospital. KLE Hospital Totally denied and it may be 2 or 3 minutes the ambulance guy waited. A ward boy has told my Bro-In-Law that he cannot be admitted as he is alone. I am really shocked, how people of Belgaum are still quiet. KLE hospital License should be cancelled. They believe, with the muscle and money power, they can victimize poor people. I appeal to the People of Belgaum to carry out a massive protest and make sure the culprits from KLE hospital are booked and penalized for the heinous crime, which caused my Brother-In-Laws Death. If people of Belgaum keep quiet today, then they have to suffer for lifetime. KLE is a black mark to the society. On 31-OCT-2014. MR.M V Jali assured in writing, they will book and ensure legal action against the culprits. But today, they have done a U turn. PEOPLE of BELGAUM WAKE UP and help yourselves to get better attention to HUMAN LIFE. we cant blame the kle hospital… because it has treated n number of accident cases and saved many lives, the actions should be taken against the duty doctor who denied for the treatment just for the merry cause of money, and his certificate to practicing as a medical practitioner should be cancelled. Hospitals are dealing with human being but have no concern towards them other than money. They must have some human feeling rather than only money making. May Almighty give strength to his family to bear this irreparable loss. KLE society is for money making,its pure business for them. Whatever chairity they do is just to create an illusion in the public mind & attract business. One year back there was a fire incident in the basement nr kitchen,was serious issue but never came to light.Like this many cases are there which are not highlighted you start digging u will get shocked. The license of KLE hospital, Belgaum should be cancelled as it is against humanity for not accepting the injured person and not giving him timely medical treatment. Shame on Mr. Kore and his institutions. Whats the use of such institutions if they are not able to provide timely treatment. Earnest request to the Ministry of health, Government of India. Please act. Girish was my cousin. We are still in shock and grieving. Hopefully the law will take its course in bringing the culprits to justice but meanwhile we would like to erge the Belgaum people to boycott the murderous hospital for their own sake. Because if this happened in our family it could happen to anybody. Deeply saddened to hear about the loss of a dear friend and a very noble soul. Perhaps his time had come and the Almighty decided to call Girish back. But the circumstances surrounding his demise are sickening. It is 2014, not 1960’s. For someone to lose his life, that too in a hospital where he was begging to be treated is inexplicable. The hospital which permitted this tragic event to happen has shown that it is not a place where one can go to save one’s life. The doctor and the hospital do not deserve to continue to be in the business of saving lives. Their licenses must be canceled. On another note, lawmakers should look into the business of tipper-transportation. At least in Mumbai they transport sand from the reclaimed area into the city. Their earnings depend on the number of trips they make. The more trips a day, the more money they get. Consequently, they increase speed, and drive recklessly causing many accidents. Find a better way to pay them, and someone like Girish may not have to beg for treatment in a hospital! Very sad.Why does every city in India reek in the same problem.Why can’t we usher in a change so that other cities can follow our example.First save the victim and later complete the paperwork. Shamefull act by person who interacted with victim and hospital …Shri Girish very humble and down to earth person ….he faught for his life and struggled for treatment ….but no one listened to him….hospital comes 2nd …1st comes humanity …as a human any person attending such situation at hospital should give him treatment instead of following hospital procedures ….and asking victim to complete the formalities….we are living with humans or animals? I have exprienced the same, the hospital doesn’t respond quickly to accident victims and wants the forms filled in first! Pathetic for such a growing institution with no ethics! Be fair. Mention the hospital. Which Was The Hospital That Refused To Treat Him ? 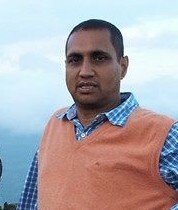 very sad.. RIP Girish ! more sad part is about not getting treatment on time, actually its so hard to believe that even after all those laws and regulations , such in-human & also illegal practices continue to exist in medical services field. i wish you mention the hospital name and doctor’s name. why the name is been protected even after such big damage they have done to one life…?? !